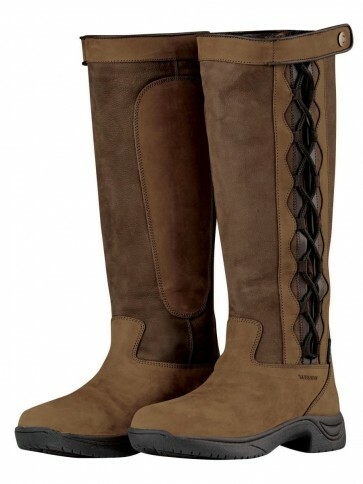 Full grain leather upper with full side lace adjustment and touch tape closure easily accomodates various calf widths. Durable and lightweight Touch Tec rubber outer sole. Suitable for a larger calf.